Preheat your oven to 350F and position a rack in the lower third of the oven. In the bowl of a food processor, process 1 cup of the sugar with 1 tablespoon of the lemon zest until finely ground. Pour it into a large bowl and set aside. Melt the butter in a small sauce pan over medium low heat. Then stir in one tablespoon of the lemon zest, remove from heat, and allow to stand for 5 minutes. In the bowl of your food processor, combine the flour, 1/4 cup of the sugar and a pinch of salt. With the motor running, pour the butter down the feeding tube in a thin stream. Process until well blended. It may be crumbly, but it should hold together when pressed firmly. Empty the mixture into a tart pan with a removable bottom and press the dough very firmly with your hands and fingers to evenly line the sides and bottom of the tart pan. Place the tart pan onto a baking sheet and bake the crust until it is a light golden brown, about 20 minutes. If it is burning too quickly, transfer it to the middle rack in your oven. Allow the crust to cool completely on a wire rack. Meanwhile, make the filling. In the large bowl containing the processed sugar and lemon zest, whisk in the eggs, lemon juice, and a pinch of salt until smooth. Set aside. In the bowl of a stand mixer using a wire whisk, beat the heavy cream on medium high speed until soft peaks are achieved. Then fold the whipped cream into the filling mixture until just combined. Pour this mixture into your tart crust evenly and bake (on a baking sheet) in the center of the oven until the filling is just set in the middle, about 20 to 30 minutes. Allow the tart to cool completely on a wire rack so that the filling sets. Gently remove the tart from the pan (see here for an easy way to remove a tart from a tart pan). Serve as is or dust with icing sugar just prior to serving. Thanks so much for your comment! I always find that lemon squares are too sweet and that they don’t hold together very well, so I much prefer lemon tarts. I hope you like it too! 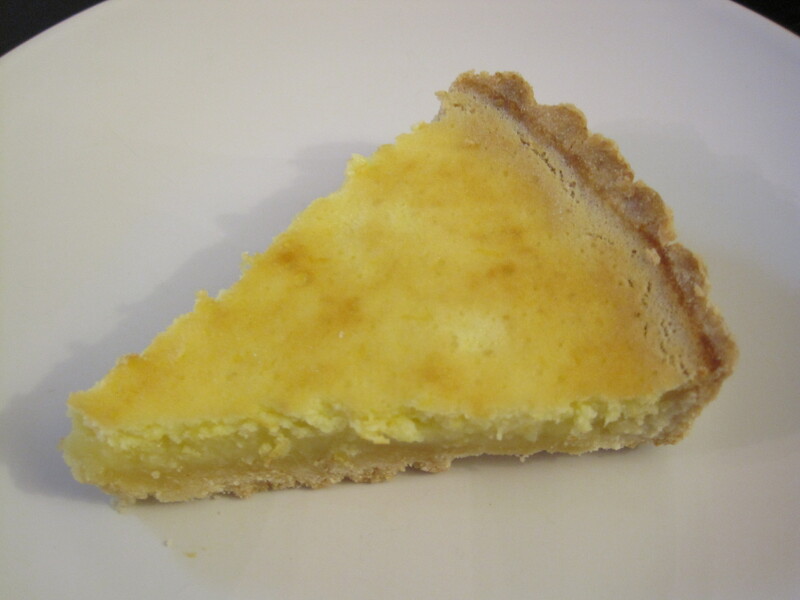 Your Lemon tart recipe looks good. I don’t like things too sweet either. The crust looks interesting and it was nice to see a recipe using a food processor. Thanks for your comment! I love using my food processor! I use it instead of pastry blenders/knives all the time.